This trolley bag features multiple, exterior pockets and large main compartments to help keep you organized and stylish for school. One main compartment provides extra storage. Cushioned, adjustable shoulder straps enable mobility. It has exterior pockets keep essentials. This trolley school bag has a locking push button trolley handle system. 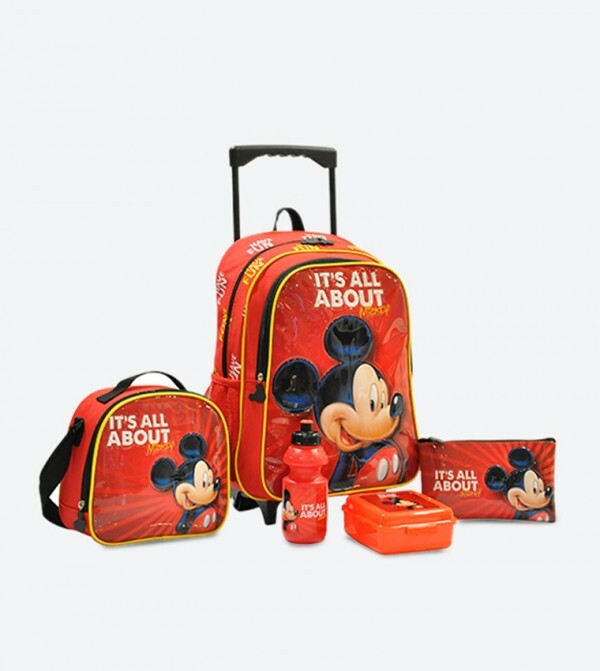 Made from polyester, this bag has a graphic print of "It's All About Mickey" on the front and zip closures. It Includes trolley bag, lunch box, pencil case, water bottle.